Hip-hop pioneers Run-D.M.C have announced their first London date in three years. After the death of Jam Master Jay in 2002, the remaining two members will reunite for a one-off show at London’s Eventim Apollo on Thursday the 5th of July. 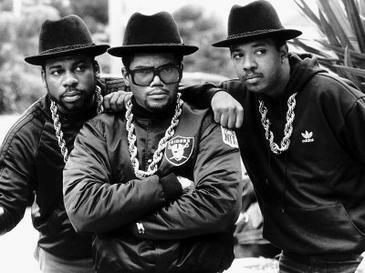 Formed in 1981, the act have become one of the world’s leading names in hip-hop, and are one of the most influential artists of the genre. The group have paved the way for a multitude of artists from the time of their inception to the present day, meanwhile accumulating a hoard of notable successes, including being only the second rap act to be inducted into the rock and roll hall of fame in 2009. Along with the likes of LL Cool J, Public Enemy, and The Beastie Boys, Run-D.M.C have become household names for their roles as pioneers of the hip-hop culture that exploded onto the music scene during the ‘80s, and were the only hip-hop act to partake in 1985’s historic Live Aid. When the group head to London it will be their first appearance on British shores since their co-headline slot at the Isle of Wight festival alongside David Guetta last year. The night promises to be filled to the brim with iconic songs, such as ‘It’s Like That’, ‘Walk This Way’ and King Of Rock’, with Run-D.M.C offering a back-catalogue that boasts no less than ten studio albums that are sure to be dipped into extensively. Ultimately, this show is not one to be missed. With the hip-hop Gods’ UK appearances being few and far between, they’ll definitely be out to impress when they arrive.